Most teachers would agree taking a sick or person day is harder than actually being at work. Writing music sub plans and preparing music sub tubs and music sub binders are so hard, especially in music and other specials! Use this plan and the work is done for you! 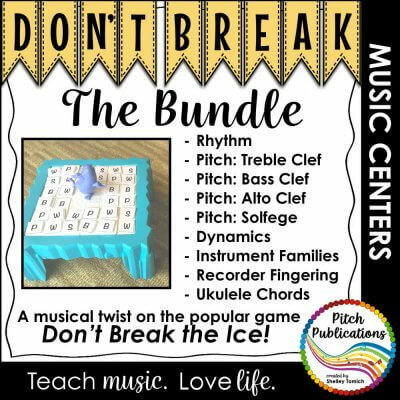 This is a great print and go plan for 3-5. Students will read a book about the history of music notation and the story of the historical figure, Guido d’Arezzo. 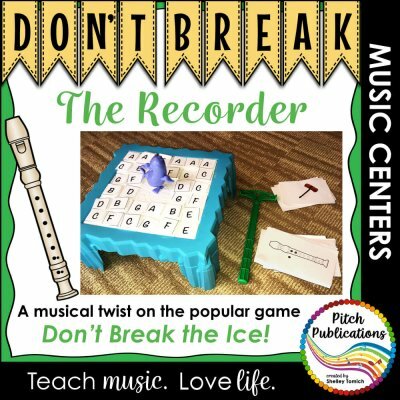 Students will review some historical terms, answer discussion questions about the book and then decode a short Gregorian chant music example. Finally, an early finisher Guido themed rhythm coloring sheet is available. This goes perfectly with the FREE and EDITABLE Sub Plan Template! 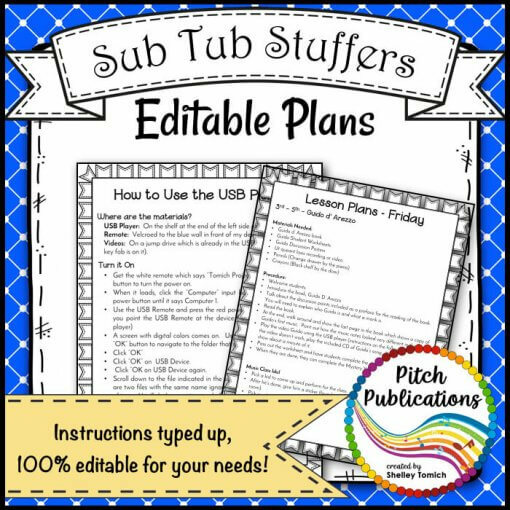 • EDITABLE lesson plans to put in your sub tub or sub binder. 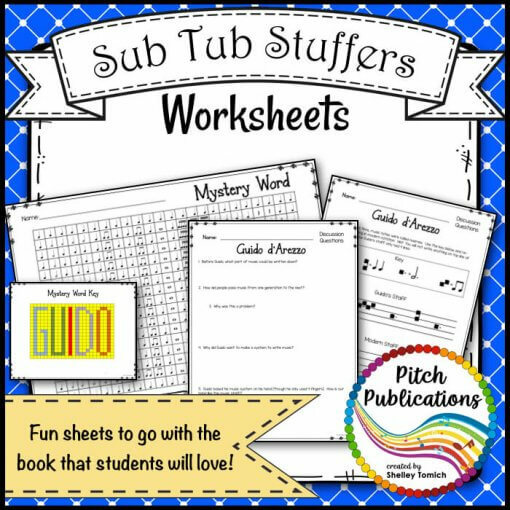 • Worksheets for you to copy and put in your sub tub or sub binder. 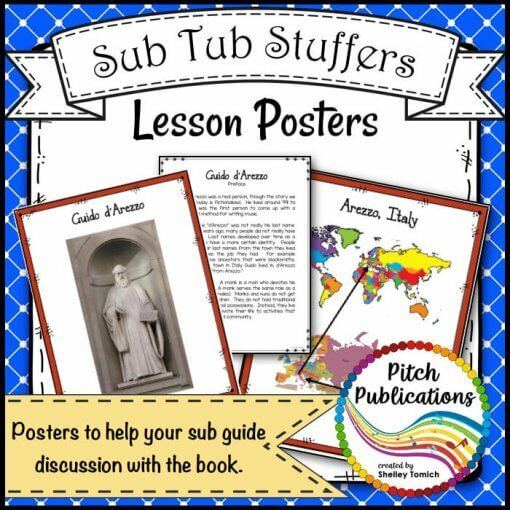 • Posters for you to print and laminate to put in your sub tub or sub binder. This is so your sub has something to reference when reviewing Guido with students. Posters in black & white and color. • MP3 of Ut Quant Laxis, Guido’s first song as well as YouTube video links if you would prefer a video. Be sure download the preview for a look at all the pages included in this resource! 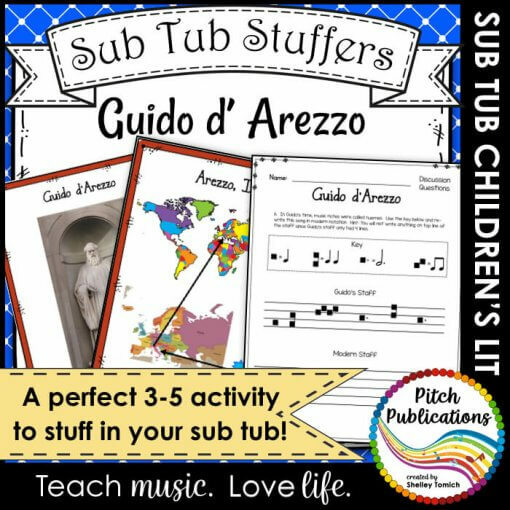 NOTE: This does NOT include the book, If You Can Read Music, Thank Guido d’Arezzo book and is required for this lesson. 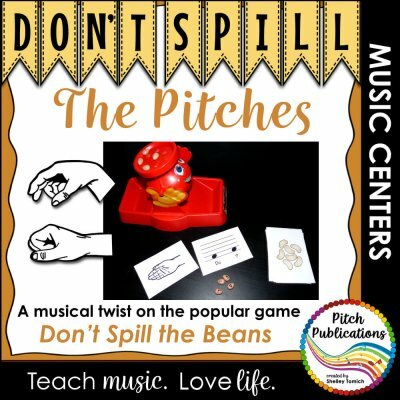 Great lesson connecting literature with music history and notating music!